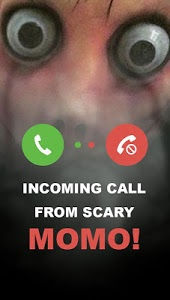 Incoming Call from Scary MOMO! Are you scared of MOMO? It's the scariest creature of the year! From now you can scare friends with fake call from MOMO! Give phone to a friend and wait when the phone call will start ringing. 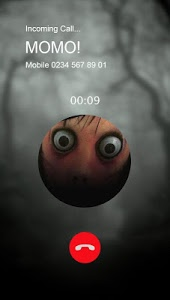 The victim will see scary face of Momo and caller name which will scare your friends to death! Momo is a nickname given to a sculpture of a young woman with long black hair, large bulging eyes, a wide smile and bird legs. It looks scary and her sight is intimidating anyone who looks at her. 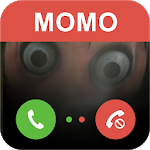 Now you can receive a phone call from MOMO and scare friends with your fake caller! You can customize the call from momo and choose when the creature will call to you. Similar to "Incoming Call from Scary MOMO"